Kruu Cherry временно не работает. Учитель вернется 1 августа 2019 г.. I am a 'friendly' and 'experienced' teacher with an easy teaching style. My classes are flexible to your needs with fun and interactive activities. Let's learn how to speak Thai clearly, help your understanding and sound more natural. - I use different methods and a lot of pictures to give you an explanation. - I have a clear lesson plan. - We will go at your own pace, step by step. - I let you practice speaking as much as you can without interruption. 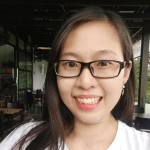 - I can help you improve listening skills so that you can understand native Thai speakers better. - I can tell you how to say things naturally with accent reduction. - I will talk with you at a native speed and provide you with a discussion class. - I provide you with 100-Handy Thai Phrases for tourists. - I will tell you about Thai culture and traditions that you have to know before travelling to Thailand. Let's learn how to say "far / near"